If you're planning to enjoy the weekend, you can use this image to tell everyone what you're up to. 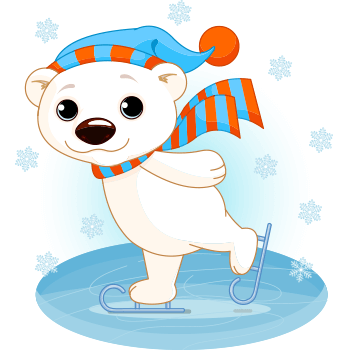 This ice skating bear has lots of dazzling moves to share. Did you know emoticons can attract more attention to your Facebook posts? If you want to connect with your network, be sure to fill your timelines with eye-catching imagery like this sweet polar bear.